Short John Gray Beard Peg-Leg Patch-Eyed Hook. The blood-thirstiest pirate cap'n t' ever sail the seven ponds. Arrrrrrrr. Gnawed his own leg off... to escape from a cursed treasure chest that snapped closed on his left leg. Unfortunately, it was his right leg that he gnawed off. He doesn't see too well. As to how he lost his eye, he's always been too embarrassed to say. His gname be Gnarrrrr! He is better at sailing sailboats than caravels. His eyepatch was earned in the terrible birdbath battle of '71. Finn "like the shark that attacked me in 64"
the patch is fake. Finn is a newbie and feels he doesn't have enough scars yet. Wiilikers. Okay, now that's a cool name. I think you should name him Fang. I noticed he has one. He loves bond~fires. And ships. 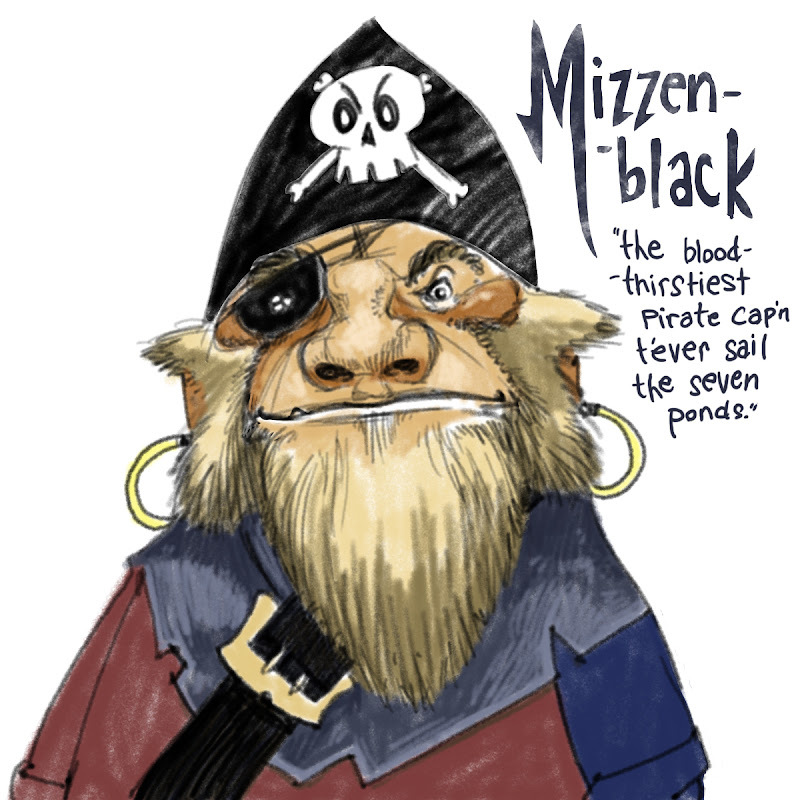 Mizzenblack. He prefers small treasures he can actually lift. Argus. He follows the pirate code more as a guideline.